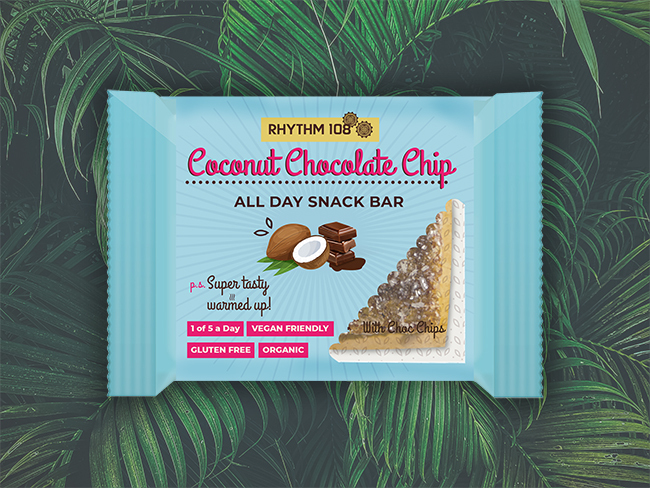 Rhythm 108 is now 100% vegan as it releases its new and improved vegan All Day Snack Bar range. 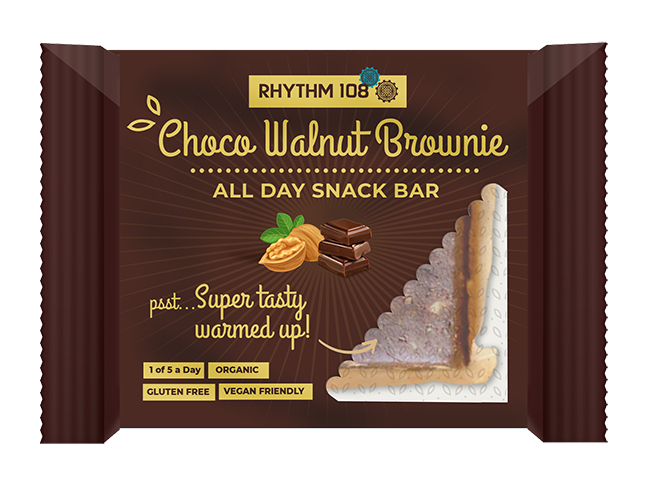 Rhythm 108 has replaced all animal ingredients and reformulated the recipes of the products in its All Day Snack Bar range to ensure all of the products in its range are 100% vegan. The deliciously reformulated snack bar flavours include Coconut Chocolate Chip, Choco-Walnut Brownie and Hazelnut Cookie Dough. All products are made simple, natural, and completely free of GMOs, never using preservatives, flavourings or colourings. Explaining the decision to go vegan, founder of Rhythm 108, Siddhi Mehta said: “We went Vegan because we didn’t like what we saw at existing food companies and we wanted to create a new type of food business. Rhythm 108 products are stocked throughout the UK, Ireland and Switzerland in major retailers such as Sainsbury’s, WHSmith Travel Stores, Boots, Selfridges, As Nature Intended, as well as over 3,000 independent retailers.